The long awaited Propane Can Popper. This popper uses a standard US 14.1 ounce Propane or Mapp Gas cylinder to produce a repeatable, predictable Special Effects Fireball that dissipates in a few seconds and leaves no obnoxious residue. 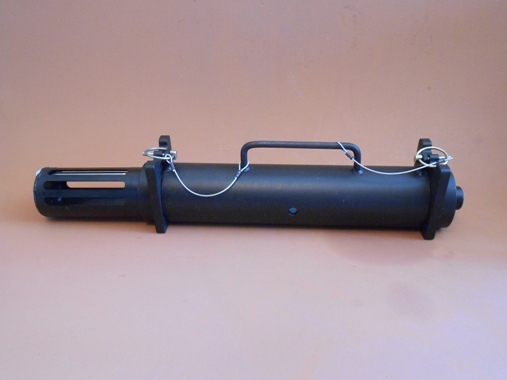 The popper is hardware that enables the Special Effects Pyrotechnician to pierce that Propane or Mapp Gas cylinder and release its contents in a few milliseconds. Please be aware that to purchase this popper, you must prove to us that you are a licensed, experienced, qualified Special Effects Pyrotechnician. Lots more description and pictures; go to Special Effects Equipment / Propane Can Popper.